With hundreds of labeling companies throughout the U.S., the task of choosing the right one can be daunting. You’ve worked so hard developing and manufacturing your product that the idea of just slapping the cheapest label you can find certainly isn’t a good game plan. Should you print your own? Do you need custom? What does custom mean? How long do labels last? Are there labeling requirements? There are so many questions that need to be addressed when you begin the labeling process. 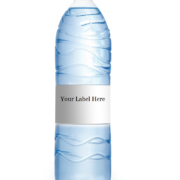 A smart business person should turn to an expert to get the exact label needed for their exact labeling application. Below we discuss a few criteria that would be wise to consider when vetting a label supplier. One of the most important assets any company brings to the table is their experience. Everybody stumbles along the way to success. There has always been a “first time” doing that, which certainly came with a number of trial and errors. An experienced labeling company will have worked through enough of those situations to be able to get you the exact label you need. They will not only ask the right questions; they will have the right answers. They will have a team of experts who will help you pick the right design, choose the proper material, understand the processing time, manage your expectations, and deliver on time. Experience cannot be emphasized enough when it comes to choosing your label supplier. This seems like a no-brainer, but communication can mean more than just “can I get someone on the phone when I need them”. Basically you want to determine whether or not the label supplier makes it easy to do business with them. Are their quotes straight forward, easy to understand? Do they confirm orders? Are major and minor details always confirmed? Are proofs easy to understand? Is it easy to place an order? Is their team responsive? If you’ve selected the right supplier, then the answer to all of these questions would be yes. Like all types of businesses, not all label suppliers are the same. Some offer solutions that others don’t, but the best label suppliers will provide labels through a variety of services and materials that are perfect for your specific application. Can they offer you digital and flexographic label print? Can they offer you print on demand for your smaller or short term skus? Are they creative in how you can benefit from their services? 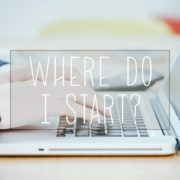 Can they create a one stop shop for you? Make sure your label supplier can meet all of your current and future needs before making your selection. Private label products have been growing at an impressive rate in stores all across the United States. Private labels are also showing an increased presence with online retailers. For cost-conscious consumers, shopping private labels makes great sense when the products are similar in quality yet more economical in price. But along with the expectation of similar product quality, consumers often want to find the same package and labeling that many popular brands offer. Since brand recognition and visibility hold a key advantage over most private labels, it is important not to skimp on the actual label and packaging. If you want your private label to compete with a well-known brand, it would be smart to label it properly to withstand the side by side scrutiny. Finding a label supplier who can help get your private label from start to finish is critical for success. So where do you turn to find quality labels to fit your private label budget? Your local Milwaukee label printer – Flexo-Graphics, LLC. What are main considerations for private label applications? 1. Color Management– Many private label brands have products in multiple categories. This means a diverse set of packaging for these skus, which equates to many different printing techniques. Does your label printer have experience supporting critical color management? Are they familiar with following brand standards? Are they using color management software like X-Rite? 2. Inventory Management– Private Label brands often use contract packaging facilities that are based in logical geographic areas so product can be moved the shortest distance to consumers. Does your label printer have experience monitoring inventory and working with multiple contract packaging companies? Do they have a track report for on-time and accurate shipping to multiple destinations? 3. Short run to long run flexibility– Private label brand owners need the flexibility to produce short run labels for newer products to market, and then long run production as the product matures and grabs market space. Is your label printer equipped to handle the full product lifecycle? Do they have digital and flexo printing capabilities in house? What can Flexo-Graphics do for you? At Flexo-Graphics, LLC we have been making labels for 35+ years. Our experienced printing professionals are committed to giving you high quality labeling solutions every time. No matter what label you are looking for we have a team of professionals able to carry your design through from conception to production. We utilize our complete in-house flexo and digital printing capabilities to produce labels designed to last the life of your products, and for new product introductions we offer rapid prototype labels and quick turns on short run jobs. 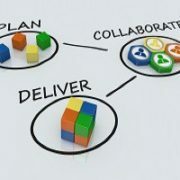 Communication and follow through ensure no detail is missed and are what distinguish us from our competitors. The right customer service is essential to saving everyone involved not only time and money, but the stress and worry that often come with meeting production deadlines. If you are in or near the Wisconsin area, check out our exceptional label professionals at Flex-graphics, LLC. We’ve been in the label making business for over 30 years serving the industrial, consumer, food & beverage, automotive and appliance sectors, and we understand and adapt to the ever changing needs of our customers. Flexible, responsive, and innovative, we are ready to meet your particular private label needs. Fill out our contact form, or give us a call today. Is Your Battery Packaging Ready for Market Distribution? Global Market – This includes requirements such as heavy metal limits, treatment & handling procedures, testing requirements, registration, and reporting. Product Design – Forbids certain types, restricts heavy metals concentration, labeling standards, etc. Takeback or Disposal – Covers proper disposal and recycling procedures. Packaging & Labeling – These restrictions include the addition of environmental regulations, warning information, and capacity data. As shown above, each places certain rules to follow as a battery is designed, manufactured, packed, and labeled for consumer or commercial sales. These requirements vary based on type, chemistry, market location, packaging, and use. Manufacturers of these products, whether for cars or use with consumer products, makes the task of meeting battery packaging regulations essential. Failure to do so could result in the item being pulled from the shelf or in some cases unexpected lawsuits. What Assistance is Gained from a Battery Packaging Specialist? When using a professional for this task, two important considerations must be evaluated: packaging and labeling requirements. A professional provider of these services is able to deliver industry tested and proven labels and inserts for your packaging needs. Companies specializing in this area are familiar with the rules and regulations of various markets, and often can provide you with the questions and resources to make sure your battery packaging meet proper compliance. For example, The International Electrotechnical Commission (IEC) has been very active in making proposals regarding marking symbol changes to help consumers and recycling agencies identify the chemistry in battery products. With the rapid proposals and changing regulations worldwide, it is essential to find a provider who is aware of these battery packaging regulations, but also is able to help you quickly make changes to your packaging, and then deliver the labels or inserts for your goods. Looking to save money on battery labels? Join our battery label buying group! Sign up here to receive email notifications on when Tops, Fronts, Daters, Poison Danger, and hazmat labels will be on press, and join in on the savings. Want more information? Give us a call today at 262-790-2740 to learn about our labeling options and how we can help you put the right finish on your battery packaging. https://flexo-graphics.com/wp-content/uploads/services-fp.jpg 200 300 fgadmin /wp-content/uploads/flexologoOLG.jpeg fgadmin2018-01-09 08:00:392018-02-02 14:10:21Is Your Battery Packaging Ready for Market Distribution?